If you have a BlackBerry that is Dual Mode phone (CDMA + GSM), or world phone, you can unlock your phone and use it on any other carriers that accepts unlock phones. Here are the way you can unlock your BlackBerry devices. 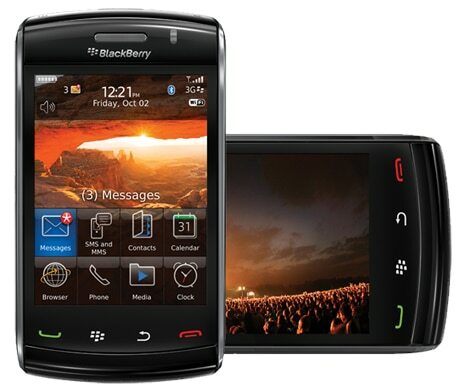 First, to unlock your BlackBerry phone you need to obtain an unlock code. There two ways of getting this code: through your carrier, or by a remote unlock service. To unlock it through your carrier, you will need to call your carrier and ask then if they will give you the unlocking code for free or a fee, Verizon gives it for free. If your provider doesn’t give unlock codes, then your next option is to unlock it through a 3rd party service or remote unlock. Where can I find a 3rd party service to get the code that is reliable? cellunlock.net provides a great service but the only bad thing is that you might find their service too expensive. They charge $34.99 for one code only. If you look on eBay you can find unlock codes for $1, but check the seller’s feedback before buying it. You will have to preovide them your phone’s IMEI number which you can find by dialing IMEI by dialing *#06# directly from the handset. How to get IMEI # from Blackberry Storm? 1. From the Home screen select Menu. Can I reused the unlocking code on another phone? No, you will not be able to reuse an unlock code on another phone because the unlocking codes are proviced based on your phone’s unique IMEI number.